This groundbreaking book explains why women experience burnout differently than men - and provides a simple, science-based plan to help women minimize stress, manage emotions and live a more joyful life. The gap between what it's really like to be a woman and what people expect women to be is a primary cause of burnout, because we exhaust ourselves trying to close the space between the two. How can you 'love your body' when everything around you tells you you're inadequate? How do you 'lean in' at work when you're already giving 110% and aren't recognized for it? How can you live happily and healthily in a world that is constantly telling you you're too fat, too needy, too noisy and too selfish? Sisters Emily Nagoski, Ph.D., the bestselling author of Come as You Are, and Amelia Nagoski, DMA, are here to help end the cycle of overwhelm and exhaustion, and confront the obstacles that stand between women and well-being. With insights from the latest science, prescriptive advice, and helpful worksheets and exercises, Burnout reveals:* what you can do to complete the biological stress cycle - and return your body to a state of relaxation. * how to manage the 'monitor' in your brain that regulates the emotion of frustration. * how the Bikini Industrial Complex makes it difficult for women to love their bodies - and how to fight back. * why rest, human connection, and befriending your inner critic are key to recovering from and preventing burnout. 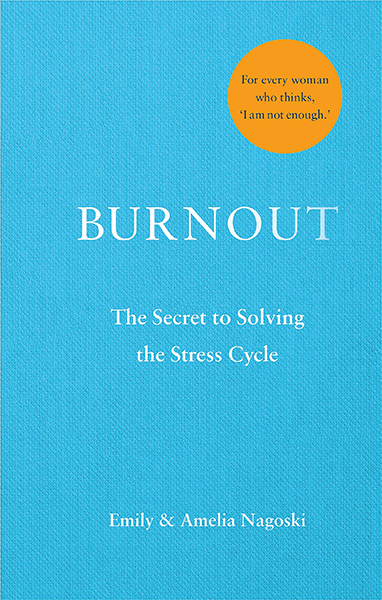 Eye-opening, compassionate and optimistic, Burnout will completely transform the way we think about and manage stress, empowering women to thrive under pressure and enjoy meaningful yet balanced lives. All women will find something transformative in these pages - and be empowered to create positive and lasting change.